Come join us for an evening of fun, Scouter camaraderie and great food to be held at the Great Hall in the Education Center of Sugar Land First United Methodist Church. 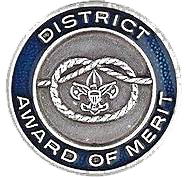 We will acknowledge and show appreciation for our hard-working and dedicated volunteers who have contributed to a successful 2018 Scouting program in the district. New 2018 Eagle Scouts in attendance will receive a congratulatory token for their accomplishments. All Scout adults, volunteers, Eagle Scouts and their families in the Arrowhead District are cordially invited to attend. Consider honoring an Eagle Scout by paying for their dinner (during registration). The cost is $19.50 for the first Scouter and $18 for each additional Scouter. Register online with credit card, electronic check or PayPal. Council refund policy. The late fee ($5.00 per person) begins 2/16/19; food and seating are not guaranteed for late registrations. Registration closes 2/18/19. Once a year, the Arrowhead District recognizes outstanding adult volunteers who help make our district successful at the district dinner. All Scouters are encouraged to nominate fellow Scouters who have served our district and communities youth above and beyond the call of duty. Nominate Scouters who have served Arrowhead District youth above and beyond the call of duty. For questions about the dinner or reservations contact Betty Goon at pk18cornerstone@gmail.com.